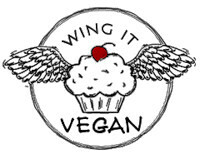 Wing It Vegan: It's Beginning To Taste A Lot Like Christmas! Thank you for all the lovely comments on my Thanksgiving dinner post! By popular request, we will be having the meatless meatloaf again later this week and I will meticulously write down every ingredient that I use so I can share the recipe here. Thanksgiving day was one of those days that I just cannot stick to a recipe, so I just wing it. The recipe for the little pumpkin pies will come soon too! Christmas time! When I was making all those Halloweegan treats back in October, I knew for sure that for Christmas I was going to make some classic Rudolph Cupcakes with cherry noses. These guys have cherry noses and pretzel antlers. Mr. Fancy Rudolph on the left has coconut milk eyes with melted chocolate chips centers and a little melted chocolate chip mouth. Mr. Lazy Rudolph on the right just has two chocolate chips for eyes and no mouth. Any basic chocolate butter cream will do for the frosting. Oh Christmas Tree, oh Christmas Tree... These are the same concept as the Happy Vegan Ghosts. I tinted my coconut with spinach juice, but if you want to use food coloring go for it. I bought a pair of tiny scissors (they're actually mustache scissors but they will only be used for cooking) to make little horizontal cuts all around the trees so that they look like pine trees. I just noticed that I don't have a "coconut" label for my posts. If I did, probably 90% of my posts would be tagged "coconut." Hap Hap Happy December to you too! Yay you gained a pound. Good for you. Must be the Hueys in your belly. Pssst Mr.Lazy Rudolph...voulez vous coucher avec moi? Congratulations on your health accomplishments!! I knew you would have the cutest christmas food!!! It's already starting and I'm so excited to see what you come up with next. Congrats on gaining a pound! haha I feel weird saying that. I love those trees and the reindeer are adorable!! Congrats on your pound! People just don't understand how we can be excited about gaining a pound, huh? When I say that to people, they look at me like I'm nuts! Of course, it seems like every time I get excited about a gain, it's disappeared by the next time I step on that stupid scale! I hope your pound sticks around! what pretty trees! You could feature them in a Christmas village. I know you have a lot in store for us this month! And congrats on gaining some weight. Hope it continues to go well! River, you are SO creative! Those are the most adorable Rudolfs I've ever seen. . . I love the trees, and all the rest, too. that squirrel is adorable!! ahh river!! you have no clue how nuts i'm going over that picture haha i think he needs a little meat on his bones. you should give him some cupcakes!! congrats on the pound "gainage"!!! keep it up, girl. I love your Rudolph cupcakes~ particularly the pretzel antlers~ but they are still too cute to eat (no food with a face!) I just can't bring myself to eat anything cute~ am I weird? Even as an omni I could never bring myself to eat a Lindt Chocolate Reindeer. Chocolate Santa on the other hand I had no trouble eating. What's wrong with me? rudolph cupcakes - I LOVE THEM!!!! I'm gonna have to make those to bring to work at chrimbo. Gorgeous. Hurrah on gaining a pound. I lost one this week - maybe you found it?? I am so excited to be spending December with you River! I know it's going to be filled with so much adorable goodness! And thanks for getting those recipes for us - we really want them. I'm glad you're able to gain in a healthy way! Good work! I'm so excited that Christmas time is around and that we are going to be so lucky to see all the cute things you make!!! Oh man those cupcakes are cute! Perfect for a preschool snack I think!! You're so creative. Oh you've got me all in the Christmas baking spirit now. 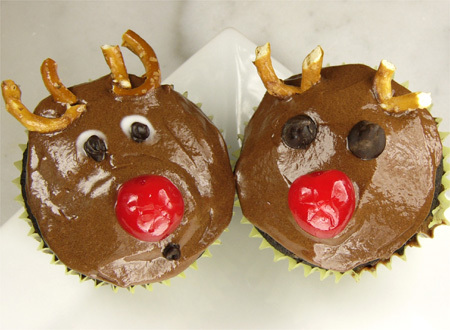 I am totally gonna make reindeer cupcakes now... how adorable are those?!? Wow Rudolph and christmas trees? This year I should skip baking cookies and make some cupcakes. Too cute! 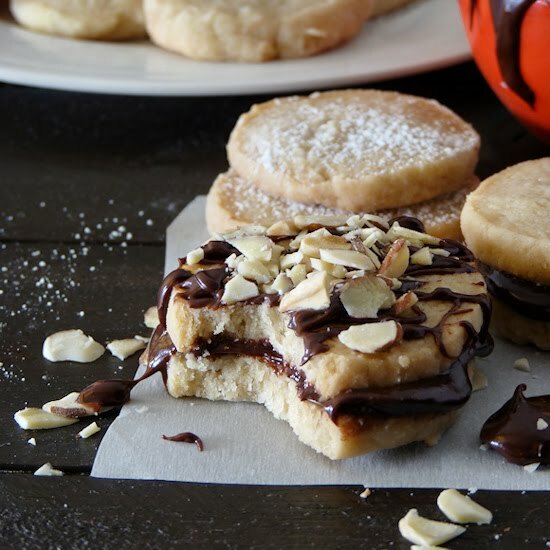 You're holiday desserts are so awesome! your reindeer are the cutest ever! i super love Mr. Lazy Rudolph the most! ahahahhaaa! and your christmas trees are just too awesome! i am loving all of your holiday themed deliciousnesses, River! i look forward to many more (and your meatsie loaf recipe, too!)! yay! 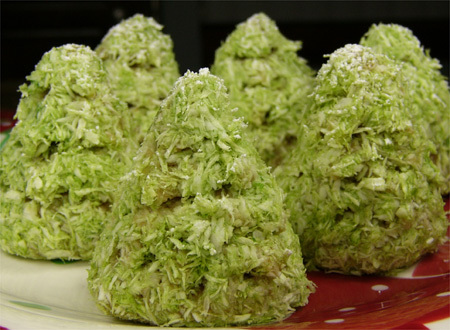 The tree cupcakes are so adorable! That is such a cute idea. I can't wait to see what other Christmas treats you come up with. Love those Rudolph cupcakes! I am prepared to be thoroughly entertained by your blog this month! I'm so glad it's holiday season so we can all enjoy more of your absolutely fantastic creations. The cupcakes are sooo cute! Those Reindeer cupcakes are the best - I just checked out the thanksgiving food too, and I wouldn't even miss the mashed potatoes. I'm looking forward to what you have in store this month. I love the reindeers and trees, I am so looking fwd to more Christmas treats on your blog! Thank you for the congrats and all the sweet comments! CCV, most people don't really get it, do they? Except for awesome vegan bloggers! I'm sick of eating so much, but I want at least 5 more pounds, so I'm gonna have to work hard for at least two months. Hopefully it will be easier to maintain it. Becks, I totally understand. I had a hard time eating my spider cookies for Halloweegan. They looked so spider-y! Hey River, I found your blog somehow because I am a vegan who wants to gain weight too. I'm a little bit underweight, and I'm having a hard time getting on those last few pounds. Are you considered to be underweight for your height, or do you just want to gain weight anyway? If it's not too much trouble, could you possibly email me with what's worked for you? For example, do you count calories, and if so, how many do you aim for each day? Do you exercise, and if so, are there any specific exercises that have helped you gain muscle? Any insight would be great! Thanks! I want in on this pound-sharing action! Congrats on the pound! I sooo wish I had that problem. My friend Nathan is thin as a rail and he's always trying to gain weight. I'm always so jealous. And those little trees are soooo adorable. And how creative with using spinach juice for natural dye. WOWOWOWOWOWOWOWOW. You're awesome - amazing -- those trees esp!! Ha Ha!! Those reindeer cupcakes made my day! ROFL!! Ooo, those Rudolph's and trees look adorable! I love the pretzel antlers. And yay for gaining a pound (if that's your thing, I celebrate those things the other way around...)! Those reindeer's are just too too cute River! Congrats on the weight gain girl! I reckon you'll put on a few pounds over Christmas anyway!! hooray for gaining a pound! it is actually very hard to do (consciously) i know from experience. and i also eat throughout the day, but im always hungry! Thank you! Thank you! My pound is still here! YAY! Allison and CCV, I will post more about my weight gain and what I have been eating on my next post. I'm trying to eat at least 2300 calories a day. Rudolph cuppies! too cute. And that snowy squiggle just puts it over the top. Everything is so cute! I love it. Those trees do look very realistic complete with coconut snow. too cool. The reindeer cupcakes are very cool. chocolate and pretzels = yum. 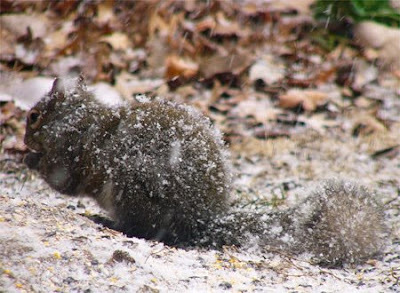 forgot to say poor mister squirrel. I hope he goes back to his tree soon to get out of the snow.